The only thing postmodernists are certain about is that nobody can be certain about anything. That idea isn’t only a logical fallacy. It’s also antithetical to the teaching of Jesus Christ. He promised that His true disciples “will know the truth, and the truth will make [them] free” (John 8:32, emphasis added). We weren’t meant to live lives of wavering confidence and vague certainty. Christ promised fixed and settled knowledge of the truth—concerning both Himself and our status as His disciples—to all who belong to Him. From a biblical perspective, authentic Christianity is synonymous with true discipleship. In fact, “Christian” was a term originally used by the surrounding culture to describe Christ’s early disciples (Acts 11:26). The definition of true discipleship gets to the heart of who is truly saved. “If you continue in My Word, then you are truly disciples of Mine” (John 8:31). This is about being a true disciple. This is an urgent and important subject. Many people profess Christ. Many people declare themselves to be believers in Christ. Many people give witness to the fact that they are Christians. In fact, that’s fairly common even in our culture, but who is a true Christian? Who is a real disciple? This is an urgent and essential question. You have to be able to answer it for yourself, and you have to be able to answer it for those around you. It’s not superficially answered. Tragically, evangelicalism now offers up plenty of superficial answers. Walking an aisle, praying a prayer, and signing a card are all widely treated as the seal of one’s salvation. Thankfully, we have the clear biblical testimony concerning the authenticity of our discipleship. Even more, it doesn’t hinge on anything we do to merit God’s favor. But Scripture does point to our works as a powerful indicator of our standing with God. 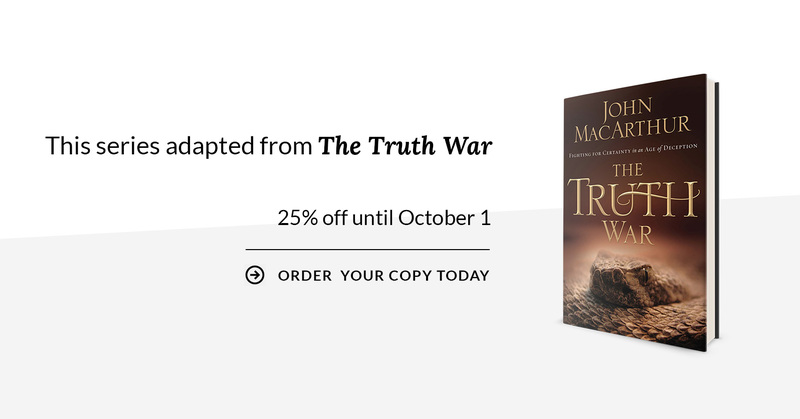 In “The Freedom of True Discipleship, John MacArthur brings clarity and confidence regarding genuine salvation and true discipleship. In the message he examines Christ’s words in John 8:31–36, a passage that lays out the benchmark and the benefit of authentic saving faith. Our confidence in our heavenly citizenship can be anchored to a solid biblical foundation. “The Freedom of True Discipleship” shines a light on that foundation and the liberty we can enjoy as God’s children with a secure eternity. That’s why God’s people love to obey His commands and are able to joyfully endure the adversity of this present world.